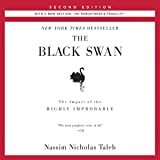 This audiobook is about luck, or more precisely, how we perceive and deal with luck in life and business. It is already a landmark work and its title has entered our vocabulary. In its second edition, Fooled by Randomness is now a cornerstone for anyone interested in random outcomes. 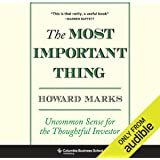 Set against the backdrop of the most conspicuous forum in which luck is mistaken for skill, the world of trading, this audiobook is a captivating insight into one of the least understood factors of all our lives. 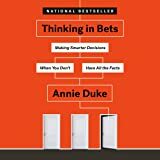 In an entertaining narrative style, the author succeeds in tackling three major intellectual issues: the problem of induction, the survivorship biases, and our genetic unfitness to the modern word. 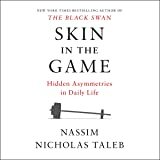 Taleb uses stories and anecdotes to illustrate our overestimation of causality and the heuristics that make us view the world as far more explainable than it actually is. 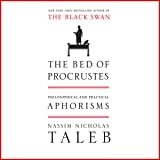 The audiobook is populated with an array of characters, some of whom have grasped, in their own way, the significance of chance: Yogi Berra, the baseball legend; Karl Popper, the philosopher of knowledge; Solon, the ancient world's wisest man; the modern financier George Soros; and the Greek voyager Ulysses. We also meet the fictional Nero, who seems to understand the role of randomness in his professional life, but who also falls victim to his own superstitious foolishness. 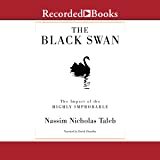 But the most recognizable character remains unnamed, the lucky fool in the right place at the right time - the embodiment of the "Survival of the Least Fit". Such individuals attract devoted followers who believe in their guru's insights and methods. But no one can replicate what is obtained through chance. 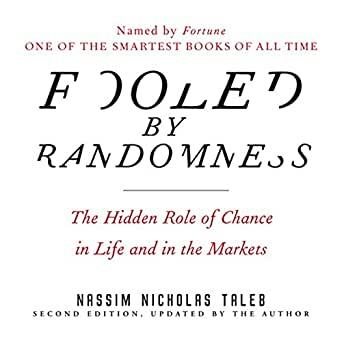 It may be impossible to guard against the vagaries of the Goddess Fortuna, but after listening to Fooled by Randomness we can be a little better prepared.